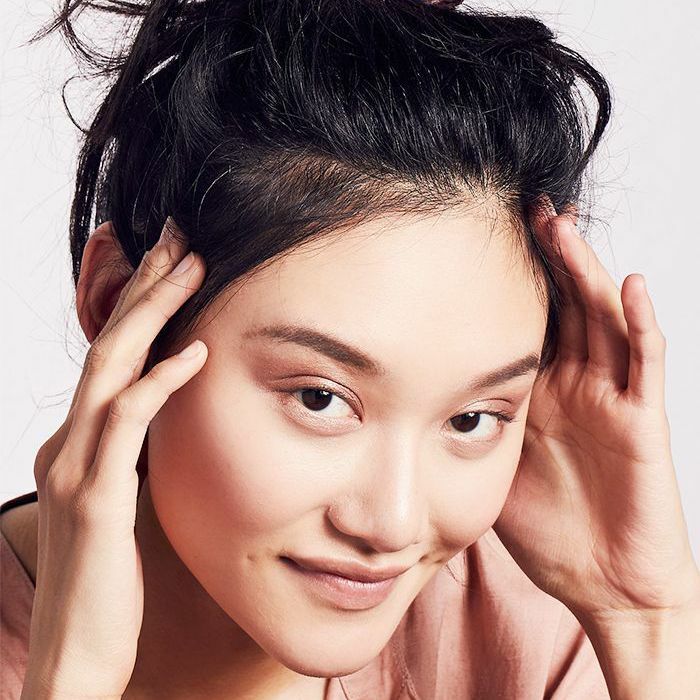 Is This Ancient Chinese Practice the Answer to Acne? Anyone who's ever struggled with acne knows how frustrating it can be to find a sustainable solution. My middle school years were punctuated by embarrassing breakouts and bad skin, a problem that bettered with age but never went away until I went on the pill in college. Even before that hormonal solution, every strategy to combat my acne was unnatural—from prescribed topical creams that made me physically sick if I applied too much to antibiotics that I quickly found I was allergic to when my hands ballooned and body broke out in hives. In the early aughts, it never crossed my parents' nor my doctor's minds to test out a more holistic approach to curing my skin woes. So now, over a decade later, hearing talk of acupuncture to treat acne has my interest piqued. Though the ancient Chinese practice has been around for thousands of years, it seems that it's finally been gaining traction as an accepted solution for a variety of ills—making news in the wellness sector and getting covered by health insurance. While my interest in acupuncture is high—especially as a means to clear skin—my knowledge is low, so I reached out to two practicing acupuncturists to spill their expertise on the subject. Keep scrolling to read their answers, and learn more about this holistic approach to curing acne. "Acupuncture is one of the many tools used by practitioners of traditional Chinese medicine to promote health and balance and treat sickness and disease," says Daphne Lim, a licensed acupuncturist and herbalist. "We also use herbal formulas, exercise, and dietary therapies in order to support our clients." Samantha Manka-Segal L.Ac, of Clear Balance Acupuncture, a certified specialist in traditional acupuncture facial rejuvenation by the American Acupuncture Council, notes that "the human body has a miraculous capacity to heal itself—acupuncture is a modality that activates that process." Almost all diseases arise from blockages and imbalances in the body, so by unblocking these stagnations [with needles], we are bringing the body back into harmony with itself. As both women explain, a lot of the practice centers around energy. "One of the main teachings in Chinese medicine is that stagnant energy is the root of illness," explains Lim. "We want our energies to be flowing correctly—just picture yourself as a beautiful, winding river compared to a big dirty puddle. This ideal flow encompasses the graceful movement of our limbs, the blood and nutrient flow that makes our organs function, even the way we experience, process, and release the energy of emotions." Manka-Segal says to "think of the body as having a symphony of invisible superhighways known as meridians, freeways of information that can become blocked and, thus, need to be cleared and balanced." Stainless steel needles are inserted into energy points along the body. "The needle acts as a dial, recalibrating, reinvigorating, and unblocking those meridians," explains Manka-Segal. "The energetic information is then freely carried throughout the body to nourish the organs and stimulate the peripheral nervous system." This is so important to the practice because the theory behind acupuncture is that "almost all diseases arise from blockages and imbalances in the body, so by unblocking these stagnations, we are bringing the body back into harmony with itself," says Manka-Segal. Why Might Acupuncture Be a Good Strategy for Treating Acne? "When I treat acne, there is always some underlying imbalance in the body that is manifesting as these skin issues," notes Lim. "With acupuncture, we work on bringing the body into a balanced, less stressed state, and this is key to treating acne." By targeting the underlying cause of why the patient's body is producing acne, instead of just treating it topically, they can have more lasting results. As Manka-Segal describes, acupuncture focuses on the root of the problem rather than the branch of the symptom. "By targeting the underlying cause of why the patient's body is producing acne, instead of just treating it topically, they can have more lasting results," she explains. By getting to the root of the issue—diet, emotions, or hormones—the patient is able to work with an acupuncturist to make possible dietary adjustments, augment their treatment with Chinese herbs and supplements, and treat the skin from the inside out, says Manka-Segal. From this more balanced space, "the body can work on healing and releasing any build up or stagnation of toxins that is causing the skin to erupt," says Lim. "The client can become more aware of her body, and together we can uncover her role in keeping a beneficial diet and healthful daily practices." Who Can Benefit From This Treatment? Both Lim and Manka-Segal agree that using acupuncture to treat acne is right for any open-minded individuals up for trying it, especially those seeking a natural remedy for problematic skin and for whom other solutions have not worked. "Often, patients with acne are given few options, and turn to harsh chemical products, antibiotics, or other prescription medications," says Manka-Segal. "While sometimes effective on the surface, these treatments can lead to other problems." Acupuncture can be especially helpful to those sensitive to medication or "don't want to chance the harsh side effects of some prescription drugs often used for acne," says Lim. "Most often, healing acne with acupuncture takes time, consistency of treatments, and lifestyle changes. So if a person is up for that, I'd highly recommend testing it out." How Do You Detect the Source of Inflammation for Skin? Because acupuncture gets to the root of the problem, a major part of using it to treat acne requires detecting the source of the skin's inflammation. "The region of the face where the patient is breaking out indicates what is actually going on in their body," explains Manka-Segal. "For instance, chin breakouts may be caused by an imbalance in the stomach. Breakouts near or around the mouth are symptoms of hormonal imbalance. Forehead acne is usually related to digestive problems, while lower cheek breakouts are potentially due to respiratory congestion, and is usually found with smokers." Skin issues are one of the main—and easiest to observe—manifestations of inflammation in the body. Lim says even the tongue can be inspected to see the level of inflammation and which organs are off balance and causing skin problems, explaining that it's usually the liver, lung, and digestive systems that are off. "Inflammation is an insidious factor in many serious diseases," says Lim. "Skin issues are one of the main—and easiest to observe—manifestations of inflammation in the body." "Acupuncturists look at the body as a whole," notes Manka-Segal. "When diagnosing a patient, it is imperative to take a full-body analysis to determine which organ is specifically out of harmony and needs to be brought back into harmony." What Are Some Other Holistic Approaches to Help With Acne? Each approach will vary, depending on the individual, but generally speaking, "having a clean diet with lots of fruit and vegetables, as well as making efforts to eliminate the culprits, such as sugar, dairy, caffeine, alcohol, and an excess of spicy and greasy foods" can prove effective, says Manka-Segal. "Gut health is vital to clearing skin impurities, so daily probiotics and digestive enzymes are often recommended, as well as proper hydration." Lim says she's a big fan of naturopathic medicine. "A great practitioner can test your hormones and look at your lab work to figure out what nutrients you may be lacking that are contributing to acne and suggest some supplements to help," she explains. "Most of the acne diagnoses in traditional Chinese medicine are related to what is called a damp-heat condition," says Manka-Segal. "We select Chinese herbs that will be prescribed with a suggested supplement regimen such as zinc, omega-3s, and B vitamins." Interested in learning more about the practice? Next up, discover the emotional benefits of acupuncture. Acne Is Essentially a Wound, so Should We Treat It as Such?